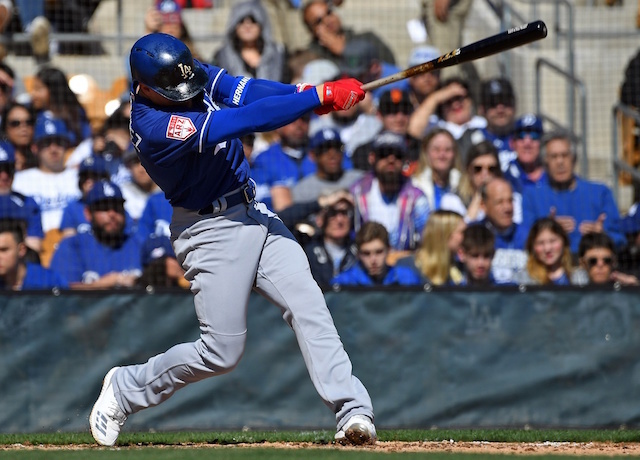 The Los Angeles Dodgers looked the part of a well-oil machined early, chasing Donn Roach in the first inning but then needing to hang on for a 7-6 win over the Chicago White Sox in their 2019 Cactus League opener. Stalwart Justin Turner got the Dodgers go with a one-out double, which Max Muncy followed with a walk and Kiké Hernandez a single to load the bases. Russell Martin’s first at-bat with the Dodgers since 2010 was a two-run double. Austin Barnes extended the lead with an RBI double and Alex Verdugo’s RBI groundout capped off the four-run inning. Hernandez delivered again in the second inning, pulling a two-run double down the left-field line. Heading into the game, Dodgers manager Dave Roberts said Rich Hill was due to complete one or two innings. Despite needing just seven pitches to get through a 1-2-3 opening frame, which included a strikeout, Hill was done for the day. D.J. Peterson collected the White Sox’s first hit, lining a single into right field in the third inning off Kevin Quackenbush. A run later scored when Jon Jay’s dribbler snuck through the infield for a base hit into center field. Josh Smoker surrendered a two-run home run to Peterson in the fifth inning, and an error allowed the White Sox to put another on the board in the sixth. They scored two more in the bottom of the ninth before leaving the bases loaded. 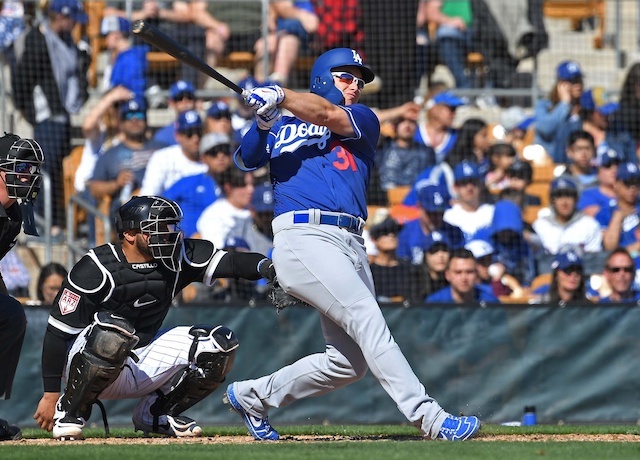 Joc Pederson’s solo blast in the fourth inning was the Dodgers’ first home run of the spring.